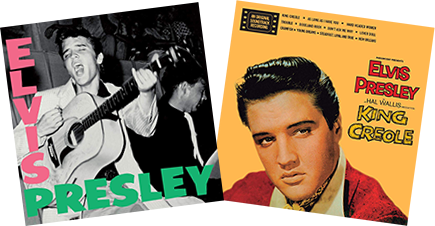 The Wax Time label will re-issue Elvis Presley’s debut album Elvis Presley with several additional bonus tracks on January 15, 2019. In Spain the Vinyl Lovers label will release King Creole in February 2019. Vinyl is big now and these releases are important to the legacy of Elvis among new and/or casual vinyl buyers. FTD arent really investing in original albums so people like Waxtime are and they are a good label I've found. You get the original album with a relevant bonus track or two in great sound. you can't lose. Juchuh !!! He he he !!! Thanks but no thanks. Nice to look at but please? This "milking of the cow" at some point has to stop.